Description Topical discussion, motivation, DIY and other tutorials, industry interviews, and product reviews. The complete podcast for the independent filmmaker. The most memorable characters are the ones that are relatable. They may be relatable to us personally, or they may be relatable as someone we know in our lives in some way. Making characters relatable and showing them as human make them memorable. Director Ryan Alexander is back in The Screening Room with his new film "ILLEGAL". This film is done in one continuous shot, which is something that Ryan does very well. Definitely check out this film in The Screening Room. Green screen is our friend. It is now so much easier than before to use green screen effectively for your film. Let's chat about how to do this. "The Devil's Passenger" is a well paced, well shot and edited short film written and directed by Dave Bundtzen. Dave does a great job at keeping shots tight to focus on the characters. This film looks good, and smartly utilizes the minimal location scenario. Happy New Year everybody! Do you have something to be released in 2019? Let me know. The Indoe Film Place is adding videos, DIY tutorials, Product reviews and more. I will also be releasing some short films, web series, and a total filmmaking course. Let's talk again about promoting your film. We've talked about online as well as real world ideas for getting your film in front of your audience.This time we chat about both. The focus here is on being bold in your PR tactics. Making a shot list is as important as having a camera. The shot list is the first part of the director's execution of the vision for the characters, story, and feel of the flm. "THAT NEVER HAPPENED reveals the story of Canada's first national internment operations between 1914 - 1920, when over 88,000 people were forced to register and more than 8,500 were wrongfully imprisoned in internment camps across Canada, not for anything they had done but because of where they came from. In 1954, the public records were destroyed and in the 1980s a few brave men and women began working to reclaim this chapter in history and ensure future generations would know about it." Cutting a trailer is a huge part of your PR strategy. This needs to start even before you shoot the film. How you ask? Great question. Let's chat about that right here. David Lynch's "Ant Head" is in The Screening Room. This film is really what I was talking about when I said to film anything that you can and make a story, or a statement, or a piece of art that means something to you. Don't be afraid to do anything. Be Fearless. Fearlessness is is the core characteristic of filmmaking. We all have a level of fearlessness to become a filmmaker. This is the characteristic we need to keep within us at all times. Let's chat about it. What camera should you get to shoot your film? I hear filmmakers ask this all the time. Let's chat about your objective first off. Are you looking for a certain functionality? Is it just to get the coolest new thing? Do you have a budget? Do you really need a new camera? Today let's chat about some real world grass roots PR stuff. Remember, the one thing we need to emulate when it comes to the studio machine is PR. In vol 1 we talked about rolling out a PR campaign early enough to get the buzz going in anticipation of your film with online images and such. Now let's talk about old school foot pounding fun. This is another perfect example of utilizing one location fully. A simple story of something anyone who has ever used social media can relate to. Well shot, well directed, and solid post production. (And no, the irony is not lost). Marketing and promotion of our films is as big of a deal, if not bigger than making the film. It is the engine that makes any film go after production is finished. In these installments of "How to promote your indie film" we'll explore techniques to get your movie in front of your audience. "PHANTASM" Director Don Coscarelli Chats with me about filmmaking, being an indie filmmaker, and his new book "TRUE INDIE". Join Don and I for some great indie film discussion. "The Professional" is an improv short film, and looks really good. Richard Amann who shot and directed this made great use of composition, and depth of field to achieve a really nice look. The soundtrack is really cool too. "FISH" is the short film in The Screening Room. This film is a light hearted take on an old story.Check it out in The Screeninf Room. Casting is one of the most important parts of making a film. Duh. Without cast, you have no film...unless it's that kind of film. This process can be the most daunting, but it doesn't have to be. Let's chat. "LIFTED" is another really great short film directed by Lin Oeding. Lin is very good at great composition, and capturing some really nice moments. This film is very touching and uplifting. Check it out in The Screening Room. "TIME TRAP" is a Sci-Fi adventure directed by Mark Dennis and Ben Foster. They chat with me about filmmaking, being an indie filmmaker, and of course the movie "TIME TRAP". "The Jigsaw" is a short film that kinda reminds me of classic fare such as Ghost Story, Night Gallery, Circle of fear, and s really well done. Nice production value with excellent camera work. Let's talk about creative lighting with low to no budget. Just because you don't have a ton of lights, or maybe not really any at all doesn't mean you can't light your set effectively. "PARADOX" by Jeremy Haccoun is a time travel/suspense film, but maybe not quite what you might expect. Great characters that draw you into what's happening in the moment. Check out this film in The Screening Room. Like and Follow on FACEBOOK and TWITTER"
Post production is is the last element that makes your film either pop or fizzle. There is noo reason to get lazy in post and let your film fizzle. This is not the easiest part of filmmaking as a new filmmaker, but when you spend at least as much focus here, you will make a world of difference. Hey Kids! You like horror films? In The Screening Room is a horror short film titled "A Tap at the Window". This film is done in a classic suspense type of horror film. It's written and directed by Jimmy Ren and Jack Vang. These guys did a great job. Filmmaker Ryan Alexander chats with me about filmmaking, casting, working with actors, and more. Also, you can check out "ROADSIDE", and "HOLD'EM", which are two of his films in The Screening Room. "PEEPHOLE" short film is another example of taking one location, and one subject, and making a short film. If you are just starting out, and wonder what you can do to make something, You can do anything you want. Just make the film. One of the things that sets a professional apart from a non professional is being prepared. There are many things we can talk about here, but I want to focus on the camera build, and location. "HOLD 'EM" is another short film by Ryan Alexander and Jakob Owens, who also directed "ROADSIDE". What I really like about both of these films, is the "ONE SHOT" approach. This again is a testament to what you can do with what you have at hand. Let's chat about something we should all have in our tool box, grip truck/trailer, and all around bag of tricks. It is really dog gone useful, and we should not be afraid to use it. FELON is a short directed and shot by Cameron Radice. This is a great example of good pre production, set design, and camera movement. This film tells a story in a very short time. Independent filmmaker Frank Parillo Talks with us about acting, producing, Casting, and the evolution of being a filmmaker. Frank is also founder of 1 Media productions, a production company and acting studio. "The Call" Short film written and Directed by Ammar Sonderberg. This film is an example of what you can do with talent and imagination. This film was shot with ZERO budget, and minimal locations. Keeping the shots tight, and telling a great story in a short amount of time. Feeding your cast and crew is so very important. Even if you are working with low to no budget, it is priority. You don't have to go broke, or even spend very much to show appreciation and make everyone happy. "Maybe Another Time" is in The Screening Room this week. Here is a short film that really brings home what we just talked about in episode 102. This film tells a story in just 1 minute. Very simply done, and very well done. Let's have a chat today with Susan Johnston. We're talking about acting, casting, the business of show business, and of course The New Media Film Festival which she founded and is the director. "What is the perfect length for short films?" This has always been a question, as well as a point of discussion among filmmakers. Let's chat about it and make it really simple. "The Smiling Man" by director/filmmaker Michael Evans is certainly a short film to take a look at. With one location, one camera, two actors, and street lighting, this film should encourage any filmmaker to just get out and shoot something. Michael also edited the film. Filmmaker Stephen Folker talks with me about being an indie filmmaker. We chat about budget, casting, locations, his past and upcoming projects, and filmmaking in general. Don't miss this interview. Working with new actors brings a fresh energy to the art. When a director spends the time needed with an actor, making them feel comfortable on set allows their natural connection to a character emerge. "Roadside" directed by Jakob Owens and Ryan Alexander is in The Screening Room. This short film is a great example of how to be creative with a camera and two subjects, and make it interesting. Set design is something that is often overlooked in micro productions. It doesn't take much to make a set pop with great color and contrast. Let's chat about it. 58. IFP Episode 96: Does everything in your story make sense? Does everything in your story make sense? There are obvious things that should make sense, but everything doesn't have to. Not everything in life makes sense, so let's bring some real life into your story. 59. IFP Episode 95: Lin Oeding's "Interpretation"
Filmmaker Lin Oeding's short film "Interpretation" is a lesson in utilizing minimal locations, and properly framing shots for the characters. The Indie Film Place Screening Room is a place for short films by filmmakers who are getting out there and making something happen. This is a place for the Indie Film Community to show support of one another. 61. IFP Episode 93 What's the best camera for under $1000.00? If money was a non issue, we would get any camera and/or gear, and lighting we wanted. Well as indie filmmakers cash is more often than not, very much an issue. Therefor we need to find the best bang for our buck. This episode is in response to a listener question. "What is the best camera I can get for under $1000.00? 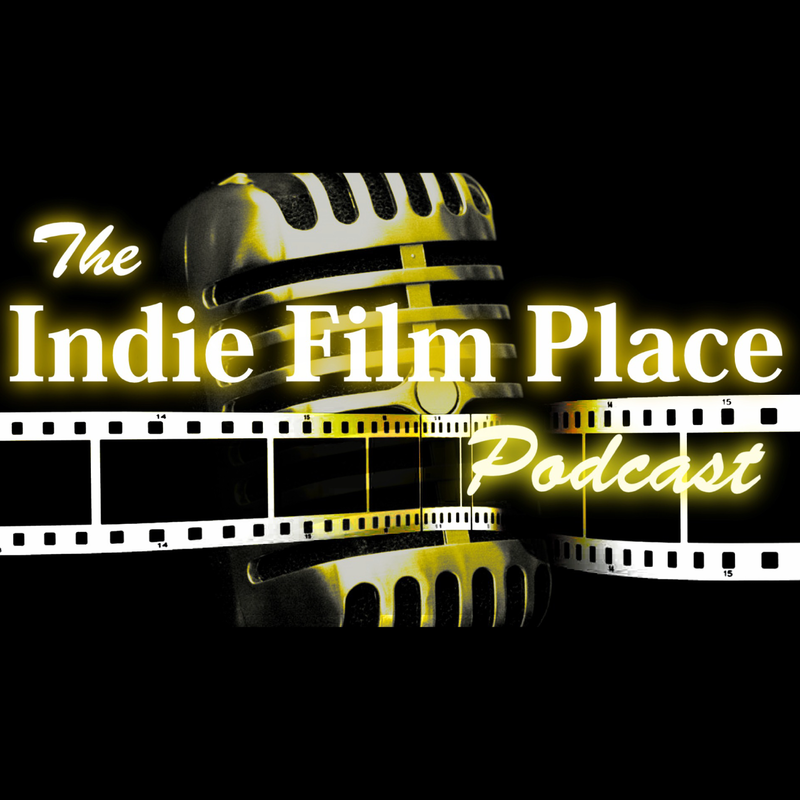 Check out the new screening room for short films at The Indie Film Place. Sometimes inspiration seems like it's always there. Sometimes it feels like we have to look for it. Let's chat about how to be inspired. If you are asking yourself "How do I become a filmmaker", you have already taken the first step in making it happen. Although there is no one absolute method, the first thing to do is grab a camera and shoot something. Our dream is our hope. It's more than a wish, our dream is a living thing. When a dream dies, a part of the dreamer dies as well. Keep the dream alive. Ideas don't always work for a particular project, character, or story. What do we do when that happens? Give up on it? You birthed it, so it has to live somewhere. 66. IFP Episode 88: How to get great sound really cheap! Poor sound quality in a film is unforgivable. This is a fact. Let's chat about how to get quality sound on your film without spending very much. 67. IFP Episode 87: What's your lighting objective? There are many different ways to set up a shoot for lighting depending on style, available light, and so on. Other than choosing a particular style or effect such as Noir, your objective is to be as natural as possible. Is filmmaking an absolute passion? If there was no way to make money being a filmmaker, we we still make films? One of the biggest things that set the professional apart as a professional. We can enjoy the process of what we do with the focus on making the best peoject, and doing the best work possible. Choosing your medium is an important part of the creative process. Whether it be a short film, feature film, web series, or documentary can depend on many variables. Let's chat about that. Expecting the unexpected and being prepared could save your whole project. Let's chat about some thing we can be prepared for, and how to deal with the unexpected. Having a kit with gels of different colors and temperatures to fully light your set can be expensive. Let's chat about some very cost effective options to create the same effect. It's easy and natural to get so focussed that we loose sight of the big picture. Of course we need to have focus, but sometimes we need to step back to see the big picture. Natural light is our friend. As indie filmmakers, it's a top priority to make the most of it. When writing and choosing locations, it is always a good idea to try to find areas with the most natural light. Do you know your community? Do you know who the players are? How about indie film theaters? I would really love to know what's happening in your indie film community. What's playing where, and who's doing what. I want to shine some light on your indie film community. How do you thrive in this business? Always be learning. Ask questions. Nobody knows everything. You can learn from anybody. Keep an open mind, and be flexible. Drawing from real life makes writing, and creating characters real and believable. The connection between real life experience, and the development of a character is what brings a solid human element. Great subplots bring depth as well as human elements to every story. Focusing on strong subplots will take you characters and story to a whole other level. Without talent technology is useless.Too often talent is what is sacrificed by some filmmakers so that they can have impressive gear. Always choose talent over technology. Knowing who your friends are is crucial to your survival as a filmmaker and an artist. Allowing the wrong element to influence you can be detrimental to your well being as an artist, and as a human. When it comes to making a choice, we sometime experience apprehension that maybe what we're about to do might be too crazy or too over the top. This is when that choice is usually the most memorable. 82. IFP Episode 72: Plan, set goals, and be flexible. Planning and setting goals is imperative to achieving any type of success. It is also crucial to be flexible and to reassess our trajectory. 83. IFP Episode 71: What is the most important aspect of your film? We all know that bad sound is an unforgivable sin of filmmaking. Is poor sound quality really the only thing that we can't live with? These days there are no excuses for poor quality in several aspects of your film. Let's chat about it. In an industry as non constant as we are in, we need to realize that everything comes in waves. The highs as well as the lows. We just need to be ready for the next wave. As indie filmmakers we take the initiative to create our own waves. This is a key component of story telling, acting, and directing. Without this component the actor, the director, and the audience are not connected with the story. I can't stress this enough. True "INDIE" or "INDEPENDENT" means "NON" Dependent on anything other than our own resources.If you start with a great story, and proper planning and pre-productio you can make a great film with nothing more than your own resources. When we decide to be a filmmaker, we are planting a seed. Now we need to water that seed by learning and honing our craft, and keeping those around us who encourage and believe in us. Today's episode is about remembering why we have the freedom to be filmmamkers and to create. We as creative beings love to be around that creative "VIBE". Many don't reside in an area that innately have that vibe. In this case it's up to us to create that vibe and exude creativity to those around us. Learning from the mistakes of others will most definitely save you a heck of a lot of time, money, and heartache. Whenever someone offers you something that sounds like a great deal on the surface, it's always best to weigh your options. We as indie filmmakers don't need to jump at just anything that is offered. When we achieve any level of success there are those who will criticize and try to bring our success down. If someone is maliciously attacking our success, it's usually a sign that we are heading in the right direction. If we are accustom to or have grown comfortable with a certain level of success, that is where we set our thermostat. Anything beyond that level feels in excess. We can set our thermostat to whatever level we want. We have been conditioned that in order to succeed, we need to just keep knocking on doors. When a door opens a crack, we try to get our foot in. We are conditioned to jump through someone else's hoops to gain validation. As indie filmmakers and artists, it's our responsibility to build our own door, and make our own path to success. When was the last time you climbed a tree? Let's take the time to do things that we wouldn't normally do like climb a tree, of fly a kite. It could be therapeutic, and inspire creativity. Making a personal challenge helps us to move forward in our life, career, and passion. This causes us to step out of our comfort zone and do something that we don't normally do, or at least not in the same way. We are our own worst critic. We really need to give ourselves a break because this industry will always beat us up enough. Go easy on yourself. The relationship between an actor and a director should be very synergistic to best serve the character and the story. Knowledge is a power that grows with experience. Knowledge by itself is a powerful thing and experience is what brings life to knowledge. One common fear of success causes us to say "That's not for me, That's for other people". This mode of thinking says that success in following our dreams is at a higher level than we can achieve. This is simply not true.